This is back by popular demand as apparently you all missed it so much. The committee have discussed at length the best way to proceed and arrived at the following formula whilst remembering its roots and purpose – THIS IS A CHARITY BIKE RIDE. The CCC has decided to support Hope Against Cancer (registered charity No: 1091480) as its nominated charity for 2019. Please visit our Charities page to learn more about the charity. To make donations to Hope for this bike ride please visit https://www.justgiving.com/fundraising/ccc2019. Funds raised by riders will go directly to supporting the Hope nurse who provides vital care and support to local cancer patients at the Hope’s Clinical Trials Facility at the Leicester Royal Infirmary. 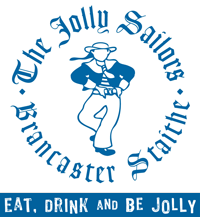 The ride will end at The Jolly Sailors where there will be a cash bar, BBQ food to purchase and a heated marquee. This is open to all. Tickets are not necessary so stay and enjoy the party atmosphere at The Jolly Sailors for as long as you wish. There will be four distance options and the entry fee for is £20 per person regardless of distance chosen. The CCC is a charity Bike Ride and we would dearly love you to donate to our nominated charity via this link https://www.justgiving.com/fundraising/ccc2019.